Living well is the biggest plus there is. That's why we've compiled resources on everything from mental health to relaxation, to help you live and feel well. Or one of their 10 best-selling online products for under $10. Now that’s a plus. Practical information on mental health and finding the support you need. Get information and tips to help you live your healthiest life. 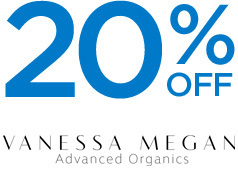 Treat yourself with 20% off all skincare products purchased online. Depending on your cover, you could avoid out-of-pocket expenses for in-patient services from a Genesis Heart Care cardiologist when admitted to hospital. 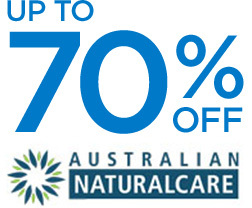 Save up to 25% on a range of Golden Door Elysia Health Retreat programs. Get 30% off selected Blackmores products purchased online. Access information and resources to help you look after your emotional and social wellbeing. Here’s a plus: 25% off all full priced online purchases and free shipping for orders over $100. Exercise your brain with BrainyApp, developed by Alzheimer's Australia and the Bupa Health Foundation. Get up to 25% off the box office price when you purchase movie vouchers online. Now includes Moonlight Cinema and Gold Class. Get up to 25% off the box office price when you purchase movie vouchers online. Bupa Pet Insurance is general insurance issued by the insurer The Hollard Insurance Company Pty Ltd (ACN 090 584 473; AFSL 241436) (Hollard), is promoted by Bupa HI Pty Ltd (ACN 000 057 590; AR 354269) (Bupa) and administered by PetSure (Australia) Pty Ltd (ACN 075 949 923; AFSL 420183 (PetSure). Bupa acts as an authorised representative of PetSure. Bupa Travel, Home and Car Insurance is distributed by Bupa HI Pty Ltd ABN 81 000 057 590 an authorised representative of the issuer, Insurance Australia Limited (IAL) ABN 11 000 016 722 AFSL 227681. Bupa Life Insurance products are issued by ClearView Life Assurance Limited ABN 12 000 021 581 AFSL No. 227682. Any advice provided is general only and does not take into account your personal circumstances, objectives, financial situation or needs. Consider the relevant Product Disclosure Statement (PDS) available at www.bupa.com.au/other-insurance to determine if the product is right for you.